Auction is now over, thank you for visiting. Auction results now posted. Raised in Dawson and Lynn counties of Texas, Troy and Mildred Brown moved to Hale Center in 1951, where they became active members of the community. Their 64-year marriage was only ended by Troy’s passing on Christmas Day of 2011. 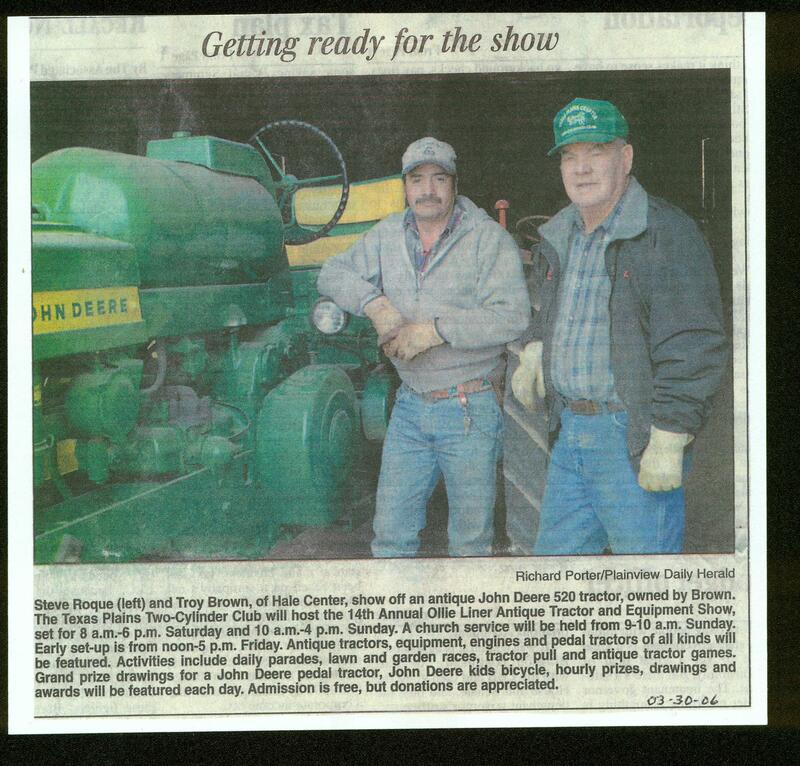 Troy farmed all his life, and served his community as a Deacon in the Baptist Church, member of the FSA County Committee and on the Boards of the Hale Center Schools, Hale Center Wheat Growers, Hale Center Co-Op Gin and Hale County Farm and Ranch Museum. After his God and his family, his great love was Texas A&M and following Aggie Sports. A member of the A&M Class of 1949, Troy counted among his descendants and their spouses eight Aggies, two graduates of the Air Force Academy, and four young great-grandchildren who already bleed Maroon as well. 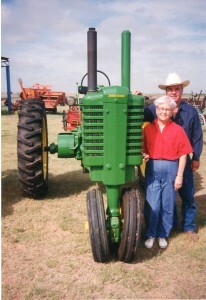 Troy began collecting Antique tractors in the early 1990s. 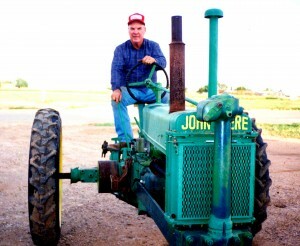 Though he enjoyed the tractors, the hunt, the stories the tractors told, the friends he made along the way were what he enjoyed most about the hobby. A special thanks goes out to his friend J.C. Armstrong, who helped collect and restore much of the collection. And even more special thanks to friend and long-time family employee Steve Roque. Even though it wasn’t his job, Steve cheerfully helped with the collection and restoration as well. Steve was also invaluable help in cleaning and organizing the tractors for shows and especially the Fourth of July parade each year in Hale Center, where Troy would have as many as 20 tractors in the festivities. We hope that these tractors bring you as much joy as they did to Troy.